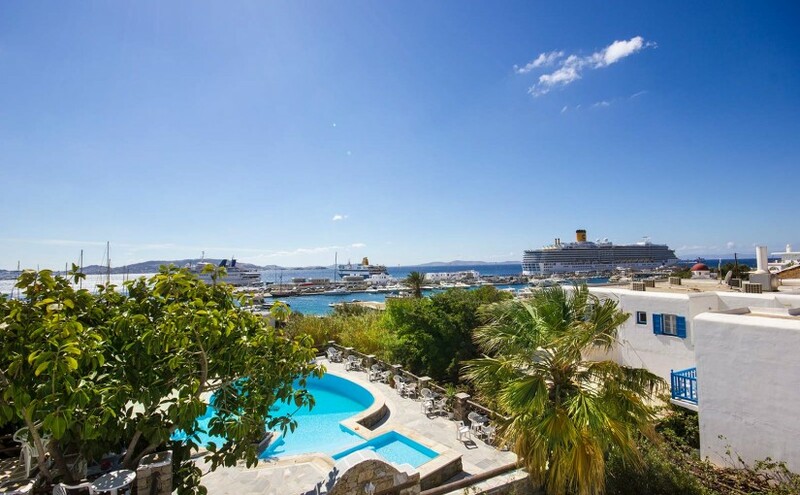 Makis Place hotel in Mykonos is exclusively located right in front of Mykonos New Port, Tourlos. Makis Place is a wonderful sea view hotel in Mykonos, offering clean and comfortable accommodation, with soothing views of the deep blue waters of the Aegean Sea with its impressive cruise ships and ferries, creating a magical environment during the visitors’ stay at Makis Place, budget hotel in Mykonos, Greece. Important facilities such as the hotel’s restaurant and swimming pool, fulfill guests’ experience during the stay at Makis Place hotel in Mykonos.